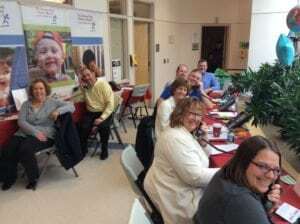 It’s almost time for the 12th annual CARES FOR KIDS RADIOTHON! We hope that you’ll tune-in and join us from March 9-11, 2017 to hear some incredible stories of triumph an inspiration from past and current patients at Maine’s only children’s hospital! 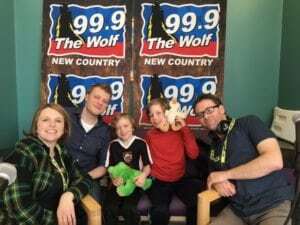 The Cares for Kids Radiothon, presented by Rowe Westbrook & Rowe Auburn, will hit the airwaves with your favorite radio personalities from 107.5 Frank FM and 99.9 The Wolf! They will be broadcasting live from The Barbara Bush Children’s Hospital Atrium on Thursday from 6 AM – 7 PM, Friday from 6 AM – 6 PM, and Saturday 8 AM – 3 PM. Since 2006, supporters of the Cares for Kids Radiothon have raised over $1.5 million for The Barbara Bush Children’s Hospital, a proud member of Children’s Miracle Network Hospitals. 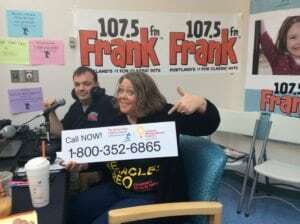 100% of the funds raised during the Cares for Kids Radiothon will stay local and support the programs and services at The Barbara Bush Children’s Hospital at Maine Medical Center. 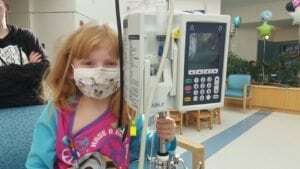 Why Give to the Cares for Kids Radiothon? With over 98,000 annual patient visits, The Barbara Bush Children’s Hospital at Maine Medical Center treats children from all over Maine and northern New England. From routine check-ups and immunizations to the treatment of life-threatening illnesses and injuries, Maine’s only children’s hospital offers comprehensive, family-centered healthcare for all of northern New England. Regardless of your reason for calling in a donation, please know that your gift will contribute to the hospital’s continued commitment of providing the best possible medical care for all children in Maine and Northern New England. Call the Cares for Kids Radiothon phone bank at 1-800-352-6865 during the live broadcast to make your gift to The Barbara Bush Children’s Hospital. Make a gift today by donating online. Previous post: Eating Fresh & Making Miracles: Subway restaurants in Maine join the effort to raise funds for sick and injured kids.